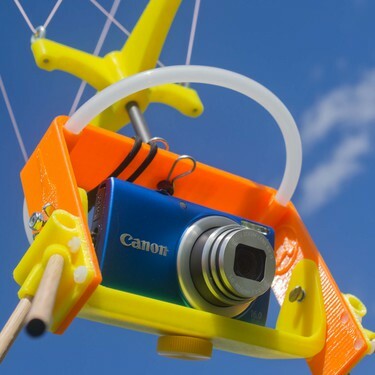 Chris Fastie designs and builds camera rigs for kite, balloon, and pole aerial photography. The rigs include parts which are manufactured on a 3D printer and are available as kits which can be assembled in a few hours. All of the designs are open source and all the information needed to build your own rigs is freely available through the KAPtery. The most up to date model files for 3D printing rig parts are at Thingiverse. Kits to build these rigs are available for purchase at the Public Lab Store and the KAPtery. The Redstone Rig Kit includes all the parts to build a rig for holding a small point & shoot camera pointed at any angle. 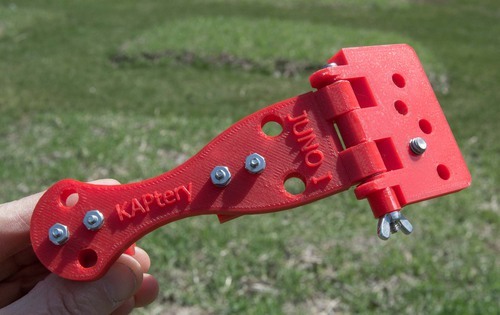 The kit includes four 3D printed parts and the hardware to hold them together. The articulated camera tray allows vertical shooting for mapping and also oblique photography, and the rig is balanced in either position. The camera is attached with a thumb screw into the tripod socket so it stays securely pointed in the same direction. The camera controls and LCD screen are always accessible. Protective legs and bumpers can be quickly configured in various ways for different needs. 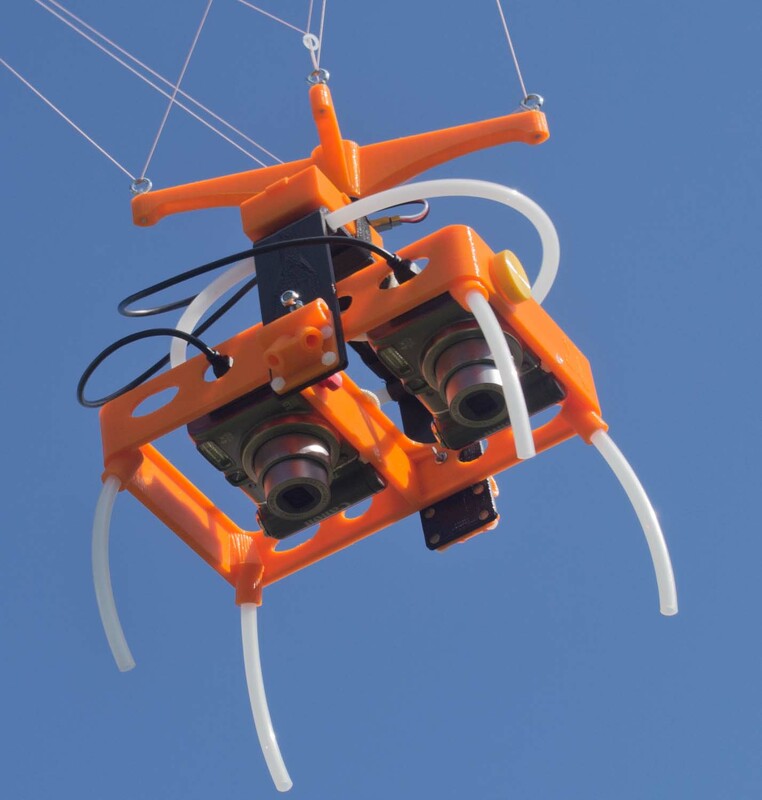 The rig can be easily suspended from the flying line using either a Picavet or pendulum system and requires one or the other for optimal operation. Some Public Lab research notes refer to the Redstone Rig. The Aerobee Rig has an adjustable aluminum frame and can accommodate a wider range of camera sizes than the Redstone Rig. The camera can be securely attached in landscape or portrait mode at any angle. An experimental escapement mechanism (the JerkPan) allows the camera to pan 360° without batteries or motors. Like all KAPtery rigs, it can be flown under a Picavet or pendulum suspension (the JerkPan works best with a pendulum). Some Public Lab research notes refer to the Aerobee Rig. The Titan 2 Rig holds two small cameras pointed in the same direction for vegetation analysis (with normal and infrared cameras) or other applications for dual cameras. The raised lips at the back of the camera platforms allow both cameras to be easily attached and automatically aligned for capturing the same scene. The tilting tray allows oblique photography as well as vertical mapping photos. All camera controls and the LCD are always accessible. Twelve brackets allow quick attachment and removal of protective legs and bumpers. A single-camera tray can replace the dual tray for flying a lightweight rig with one camera. The Titan 2 Rig is easily attached to either a Picavet or pendulum suspension, and requires one or the other for optimal operation. Some Public Lab research notes refer to the Titan 2 Rig. 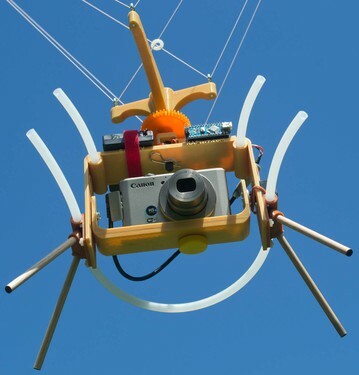 The Saturn V Rig is a kite aerial photography rig designed to use two micro servos (small motors) to adjust the pan and tilt angles of the camera. The servos can be operated autonomously by an on-board microcontroller or remotely via radio control. With a camera capable of being triggered remotely you can systematically capture photos to stitch into high resolution panoramas or just take lots of photos in all directions. Saturn V Rig Kits include everything to make a working autoKAP rig except the camera. The standard configuration is intended for small Canon PowerShot cameras, but the hardware and software can be modified to work with other cameras. Kits include a SkyShield autoKAP controller based on the Arduino Nano that is programmed to point and shoot a CHDK enabled PowerShot camera. Any of eight different pan/tilt/shoot regimes can be selected in the field, and the Arduino sketch is easy to modify for custom shooting. Kits also include the 3D printed pan/tilt rig parts, Picavet suspension, two micro servos, a gear set, battery case, cables, and all the straps, legs, and bumpers. Some Public Lab research notes refer to the Saturn V Rig. The Juno Pole Bracket allows cameras to be attached to the top of a Ron Thompson Gangster Carp Pole. 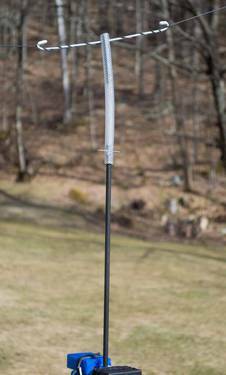 The carp pole has seven sections for a total length of 10.7 meters (35 ft). The Juno bracket can be used with five or six of the sections for a pole height of 8.1 or 9.4 m (26.6 or 30.8 feet, or shorter by removing lower sections). 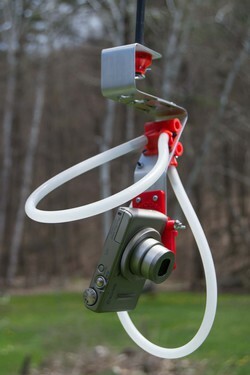 The camera tray adjusts and locks at any angle for different types of aerial scene capture (stills or video). The camera tray has several 1/4" holes for mounting the camera with a thumb screw (included) into the tripod socket. Some Public Lab research notes refer to the Juno Pole Bracket. The SkyShield will point and shoot an airborne camera to systematically capture a grid of photos for stitching into panoramas. It is an open-source custom circuit board which is a "shield" for an Arduino Nano. 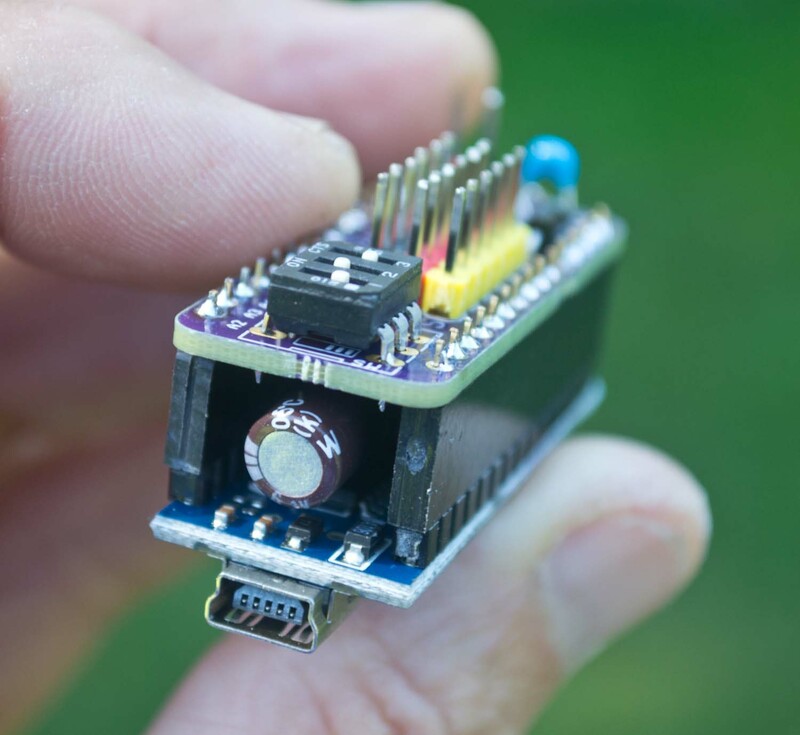 The Arduino Nano is a tiny microcontroller that can be easily programmed to send signals to connected devices. When coupled with a Nano, the SkyShield allows easy connection of cameras, servos, and a battery pack using RC connectors. A sketch (program) loaded on the Nano defines eight different regimes of pan/tilt/shoot sequences, and any regime can be selected in the field using a DIP switch on the shield. With a connected camera (e.g., a CHDK-enabled PowerShot, not included) you can capture aerial photos to stitch into high resolution panoramas or just take lots of photos in all directions. Some Public Lab research notes refer to the SkyShield. The Picavet has two attachment points to the kite line about five feet apart, and the Picavet lines pass through four eyes on the Picavet cross. These multiple attachments reduce rotation of the rig and swinging of the rig along the axis of the kite line. The three inch shaft between the cross and the rig acts as a moment arm and allows the mass of the camera to level the rig. The star on the top of the Picavet cross allows the attached rig to be pointed in any of 16 directions. 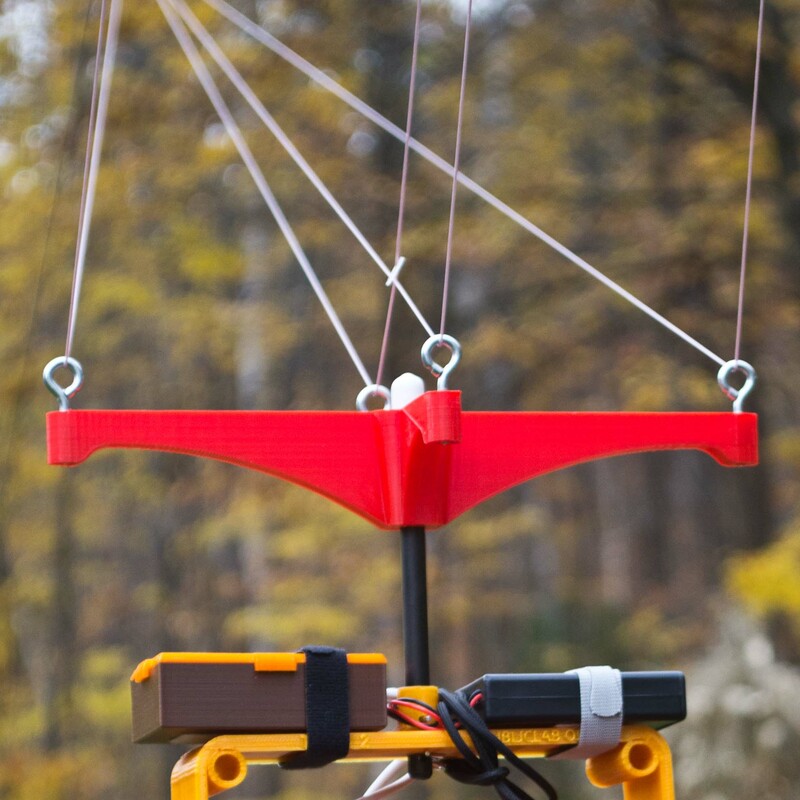 Picavet Kits Include a 3D printed Picavet cross, two stainless steel KAP'n Hooks for securing the Picavet lines to the kite line, 30 feet of 50 pound braided Dacron line, and all other hardware. Here is the research note introducing the KAPtery Picavet. A pendulum suspension is a rigid rod with a flexible attachment to the flying line. It works great on balloon flights because the flexible damping tube holds the camera away from the line. Just wrap the flying line several times around the stiff wire at the top (the spiral on one half should be in the same direction as the spiral on the other half). A 38 cm long G50 fiberglass tube tends to hang vertically to keep the camera rig steady and completely eliminates camera spinning. It attaches easily to the Redstone and Titan 2 rigs. Materials for a safety lanyard are included for a redundant connection between flying line and camera. There are no 3D printed parts in this suspension. To learn more about each of the rigs and suspensions see the descriptions at the KAPtery and also the assembly guides and user manuals for each rig.